It's nearly the weekend and time to kick back. 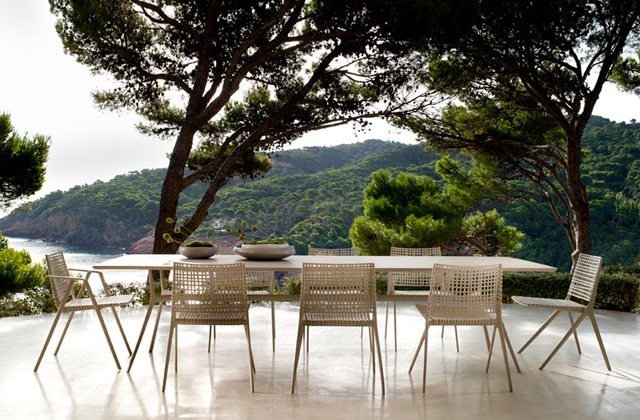 Can't you just imagine adding friends and lunch to this outdoor dining setting from Tribu. The Branch dining setting is by Spanish design practice Lievore Altherr Molina, but is available here in Australia at Cosh Living. The aluminum cast frame is combined with a seat and backrest in polypropylene, and is reinforced with glass fibre. These materials are easy to maintain, recyclable and optimally weather-resistant. Choose Branch in white or the two earthy shades of light linen or dark wenge.